Don’t make the assumption that paying property taxes makes you the owner of property in Texas. When a loved one passes, handling matters of the estate can be difficult. Many times, it is easy to assume that everything will “just fall into place.” After a loved one has passed, heirs can assume that the real property owned by the deceased loved one automatically becomes theirs and they begin to pay taxes and expenses for the property. 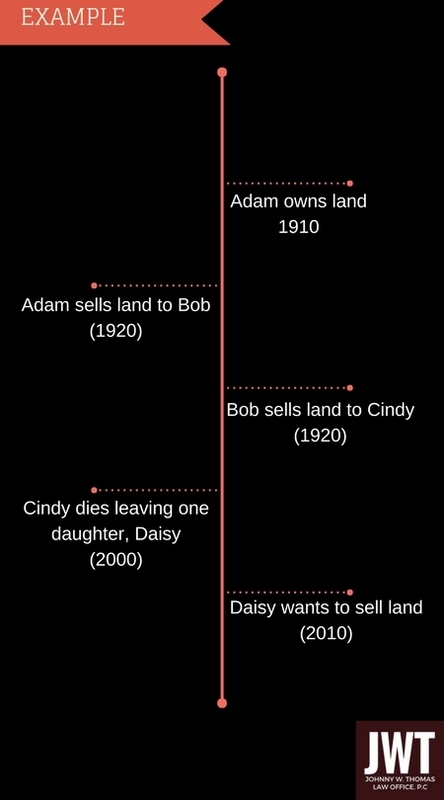 Here is a typical scenario: Parents pass away and a son, who has lived in the home with the parents, assumes that he has inherited the family home. He begins to pay taxes on the property and continues to maintain the home. Years pass and the son decides he wants to sell the home. However, the son speaks to a realtor about putting the home on the market and the realtor tells him that he cannot sell the home because he does not have clear title. The son then decides to speak with a lawyer and is asked for proof of his ownership of the house. Many people, like the son in the above scenario, unfortunately, find out the hard way that paying taxes on real estate property does not grant you ownership. Clear title is required to document ownership. 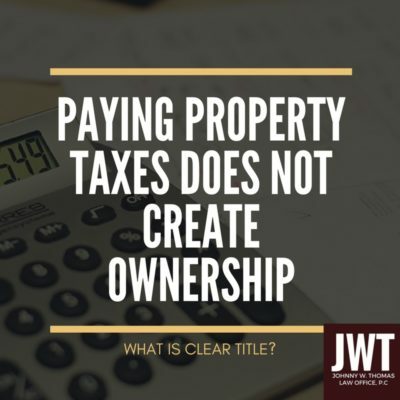 Clear title occurs when the there is a property deed recorded in the county property records everytime property is transferred to a new owner – whether that transfer is by selling the property, gifting the property, or inheriting the property. For a person to prove she has clear title to her home in Bexar County, a document should be recorded when ownership was transferred to her AND a document should be recorded each time ownership was transferred to any previous owner. Look at the timeline to the left. Having clear title for Daisy would mean that there is a deed, recorded in the property records, for every transfer, including a deed or affidavit of heirship, proving Daisy’s inheritance from her mother Cindy. The thing to note is that clear title is not always reflected in the appraisal documents. You cannot rely on your yearly tax bill as proof of ownership of property. Clear title can only be found after a thorough search in the county property records or through the use of a reputable title search company. Property documents must be recorded in the county property records where the property is located. Many counties offer free tools that allow you to search the property records online. If the county you are searching does not offer online tools, you will have to contact the County Clerk of the county for access. It may be worth spending the money for a reputable title search company to conduct the search for you. Title search companies should provide you with a report and a copy of each of the deeds connected to that property. This report can help you easily identify the missing links.